The car ECU is so easily to be damaged once the battery voltage is unstable while you doing the ECU programming of your vehicle. So it is necessary to protect the ECU safety with our Voltage Regulator And Power Charger. 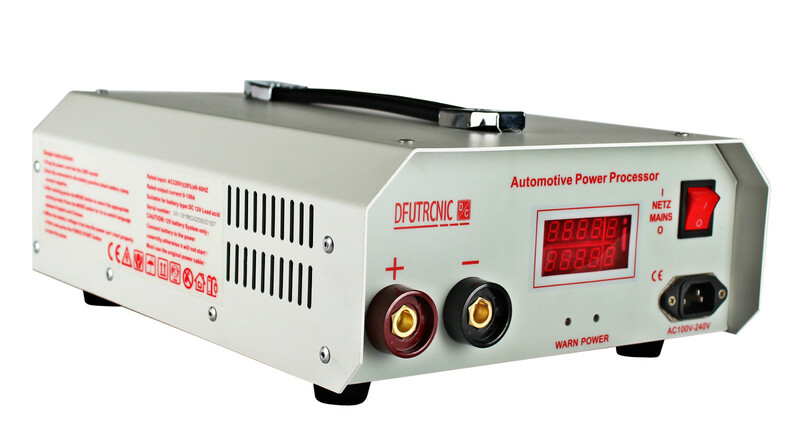 Automotive Power Processor Automatic Voltage Regulator delivers cost-effective and high quality power protection for many applications and prevents equipment damage from voltage fluctuations and transient surge. Often times, it takes too long time to do vehicle ECU programming, the battery voltage usually is lower or higher than standard values due to electricity instability which might result sudden disruption during programming and cause damage to Vehicle ECU. for Volvo, for Porsche, for Volkswagen, for Audi, for BMW,for Mercedes for Benz, for General Motors Etc.